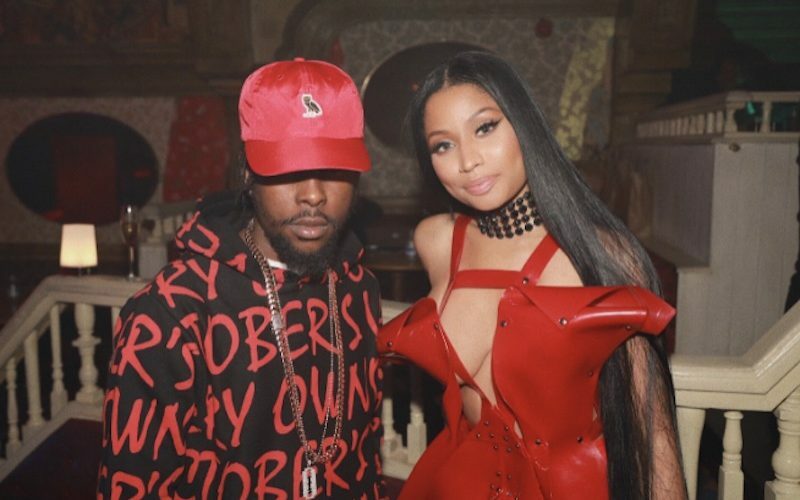 Popcaan and his killy killy gets a cameo in Nicki Minaj new music video “No Frauds” featuring Drake and Lil Wayne. A good portion of the Benny Boom-directed cut was shot in London while Drake was in the English capital for his “Boy Meets World” tour. Nicki Minaj and Popcaan made a guest appearance on the tour and in between shows they shoot the “No Frauds” music video. The Unruly Boss only got a few seconds in the five and a half minute long clip, but it was enough for his fans to take notice. A few other notable faces made a cameo in the cut including Jas Prince, Karen Civil, and New York Giants’ Brad Wing. “No Frauds” is a diss track released by Nicki Minaj following the Remy Ma “shETHER” onslaught. She released two other singles “Change It” and “Regret In Your Tears” the same day that she dropped the track. She will be shooting a music video for the later which is a shot at Meek Mill. Nicki Minaj is currently working on her new album and sources told us that her new project will be heavily influenced by dancehall music. So perhaps Nicki Minaj will land a collaboration with the Young Money rapper. Seems we can expect another music video from Nicki Minaj very soon.